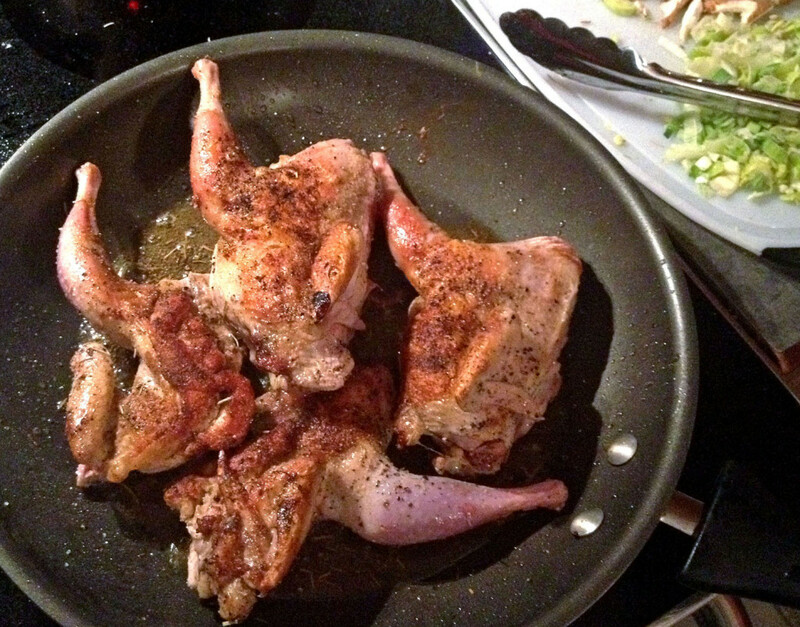 thing I’ve never had – partridge -let along tried to cook, which was whimsically spontaneous to boot. TIP: Make more than needed, as the leftovers are even better as the flavors further mature. 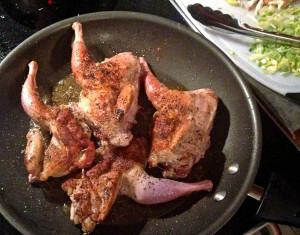 Let partridge rest at room temperature for 15 minutes. Season on all sides with salt and pepper. In a large skillet over medium heat, cook bacon until for 5 minutes (do not over crisp). Remove bacon from pan and set aside, reserve all bacon fat in pan (when cooled, crumble bacon for salad). In same pan, increase heat to high and heat bacon fat. Add partridge skin side down, and cook for 3 minutes until crisp, then turn and cook 2 more minutes. Place covered pan in oven and roast for 10 minutes. Remove partridge from pan and let rest, reserve braising wine. In a medium skillet over medium-high heat, melt butter then add leeks. Sauté for 5 minutes, stirring occasionally. Then add garlic, mushrooms and rosemary. Cook for 8 minutes until mushrooms begin to crisp. Add remaining wine from partridge roasting pan to mushroom mixture and reduce to thicken. Plate with spoonful of mushroom mixture in bottom of bowl, then partridge and top with remaining sauce. Garnish with sunflower sprouts and raspberries. 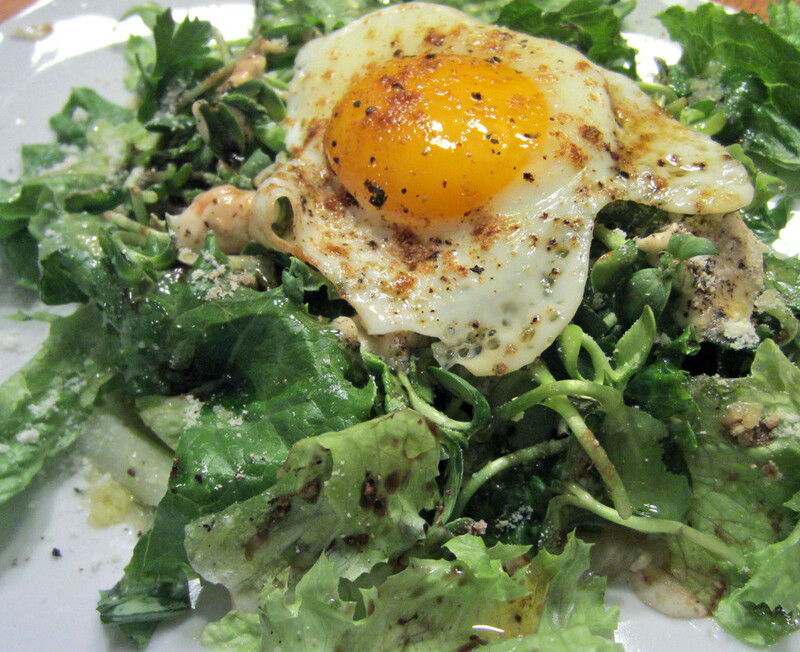 This entry was posted in Cooking, Main Dishes, Winter and tagged Braise by cfaust. Bookmark the permalink.